Her fans are in love with her natural look. 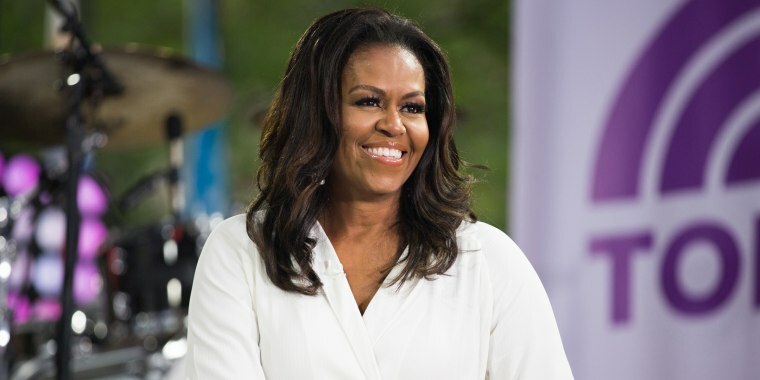 Michelle Obama is rocking her natural hair on the December/January issue of Essence magazine, giving people a rare glimpse of her beautiful, natural spirals. Fans were in love with her look, to say the least, with many thanking her on Twitter for showing off her natural texture on a major magazine cover. Her hairstylist, Yene Damtew, posted on Instagram about the experience of working with the former first lady’s natural strands. The former first lady almost always wears her hair straight in public. While she switched up her hairstyle now and then throughout her time in the White House, notably with bangs at one point, she typically stuck to straight strands or blown-out waves. Her hairstyle was part of the personal image she carefully cultivated during her time as first lady. Now that she’s no longer in the White House, Obama may feel more free to experiment with her look, including her hair. Straight hair or curly, she is gorgeous!